Originally published under the title, "White House Delusions." Speaking at Cairo University in 2009, President Obama pledged to build "partnership between America and Islam." As the only person to have won the Nobel Peace Prize on the basis of sheer hope rather than actual achievement, President Barack Obama might have been expected to do everything within his power to vindicate this unprecedented show of international trust. Instead he has presided over a clueless foreign policy that has not only exacerbated ongoing regional conflicts but has made the world a far more dangerous place. And nowhere has this failure been more glaringly manifested than in his much ballyhooed "new beginning" between the United States and Muslims around the world. As he explained in his celebrated June 2009 address to the Muslim world in Cairo: "I have known Islam on three continents before coming to the region where it was first revealed. That experience guides my conviction that partnership between America and Islam must be based on what Islam is, not what it isn't." By way of educating Americans on "what Islam is," the Obama administration went out of its way to deny, ignore, euphemize and whitewash anything smacking of Islamic violence, radicalism or expansionism. Federal agencies purged counterterrorism training materials of references to Islam, presidential advisors extricated such terms as "jihad" and "Islamic extremism" from the central documents outlining the US national security strategy, and NASA was instructed "to reach out to the Muslim world and engage much more with... Muslim nations to help them feel good about their historic contribution to science, math and engineering." Obama has spared no effort to disassociate the Islamic faith from the actions of radical groups operating in the name of Islam. Meanwhile, the president spared no effort to dismiss the religious credentials of radical leaders and groups operating in the name of Islam and to disassociate their actions from that faith. Osama bin-Laden "was not a Muslim leader" but "a mass murderer of Muslims" whose demise "should be welcomed by all who believe in peace and human dignity"; Islamic State (IS, also known as ISIS or ISIL) was "un-Islamic" since "no religion condones the killing of innocents, and the vast majority of [IS's] victims have been Muslim." Even the Muslim Brotherhood – the world's foremost Islamist organization committed to the creation of a worldwide caliphate, and the bedrock of some of today's most murderous terror groups – was described as "largely secular." When in November 2009 Palestinian-American military psychiatrist Nadal Hassan murdered 13 people and wounded 43 others in a Texas military base to the shouts of "Allahu Akbar," a Department of Defense report treated the massacre as workplace violence, as if the murderer was a disgruntled employee upset about working conditions rather than an Islamist zealot with proven connections to al-Qaida. When in January 2015 Islamist terrorists affiliated with al-Qaida and IS murdered 15 people in attacks on a Paris newspaper office and a Jewish food shop, Obama described the perpetrators as "a bunch of violent, vicious zealots who... randomly shoot a bunch of folks in a deli in Paris." Queried about this incredible assertion, White House press secretary Josh Earnest provided the equally mind-boggling explanation that "the point that the president was trying to make is that these individuals were not specifically targeted. These were individuals who happened to randomly be in this deli and were shot while they were there." Given this adamant refusal to call a spade a spade, it is hardly surprising that the thousands of worldwide Islamist terror attacks since 9/11 have been whitewashed as a misguided, if not wholly inexplicable, overreaction by "violent extremists" to arrogant and self-serving Western policies. More recently, tension has been fed by colonialism that denied rights and opportunities to many Muslims, and a Cold War in which Muslim-majority countries were too often treated as proxies without regard to their own aspirations... Violent extremists have exploited these tensions in a small but potent minority of Muslims… [culminating in] the attacks of September 11, 2001 and the continued efforts of these extremists to engage in violence against civilians. This depiction of Muslims as hapless victims of the aggressive encroachments of others, too dim to be accountable for their own fate, is not only patronizing in the worst tradition of the "white man's burden" but the inverse of the truth. If America is reviled in the Muslim world, it is not because of its specific policies, but because of its global preeminence. Far from a function of its unhappy interaction with the West, the story of Islam has been the story of the rise and fall of an often-astonishing imperial aggressiveness and, no less important, of never quiescent imperialist dreams that have survived the fall of the Ottoman Empire to haunt Islamic and Middle Eastern politics into the 21st century. Even as these dreams have repeatedly frustrated any possibility for the peaceful social and political development of the Arab-Muslim world, they have given rise to no less repeated fantasies of revenge and restoration and to murderous efforts to transform fantasy into fact. If, today, America is reviled in the Muslim world, it is not because of its specific policies but because, as the preeminent world power, it blocks the final realization of this same ageold dream of regaining the lost glory of the caliphate. This in turn means that, contrary to Obama's wishful thinking, in the historical imagination of many Arabs and Muslims, bin Laden is not a "mass murderer" but the new incarnation of Saladin, defeater of the Crusaders and conqueror of Jerusalem – a true believer who courageously stood up to today's neo-Crusaders. Hamas Prime Minister Ismail Haniyeh praised Osama bin Laden as an "Arab holy warrior" in the wake of his 2011 killing by U.S. special forces. That much is clear from the overwhelming support for the 9/11 attacks throughout the Arab and Islamic worlds, the admiring evocations of these murderous acts during the 2006 crisis over the Danish cartoons, and the glaring lack of enthusiasm about bin Laden's demise. 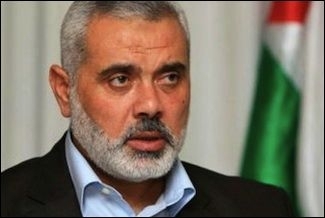 In the words of the-then Palestinian prime minister [in Hamas-held Gaza] Ismail Haniyeh: "We condemn the assassination and the killing of an Arab holy warrior. We ask God to offer him mercy with the true believers and the martyrs. 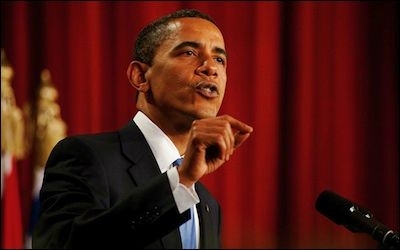 We regard this as a continuation of the American policy based on oppression and the shedding of Muslim and Arab blood." Nor has IS's extroverted brutality detracted one iota from its religious credentials, as evidenced by the influx of thousands of young Muslim men (and women) from all over the world to participate in its self-proclaimed jihad. With far more Muslims killed throughout history by their co-religionists than by non-Muslims these volunteers can see no doctrinal or moral impediments to fighting their "deviant" co-religionists, not least since the group's bloodletting has thus far been insignificant by regional standards (suffice it to mention the 250,000 fatalities of the ongoing Syrian civil war, where most of the killing has been done by Bashar Assad's "infidel" Alawite regime). On the eve of the 2012 U.S. elections, only 9% of Palestinians believed that Obama's reelection would have a positive impact. It is the refusal to recognize this state of affairs that accounts for the total breakdown of Obama's Islamic and Arab policies – from the failure to curb the dogged quest for nuclear weapons by the Islamist regime in Tehran, to the reassertion of Ankara's neo-Ottoman imperialism, to the disruption of Washington's relations with key regional allies, to the surge of Islamist terrorism, to the fragmentation of the Iraqi, Libyan and Yemenite states, to the collapse of the Palestinian-Israeli negotiations – that plunged America's regional standing to its lowest ebb in decades, even in comparison to the George W. Bush administration's darkest moments. Even Obama's relentless pressure on Israel and tireless pandering to the Palestinians ("You will never have an administration as committed... as this one" he told Palestinian Authority President Mahmoud Abbas) failed to boost his fledgling credibility. On the eve of the 2012 elections a mere nine percent of Palestinians believed that his reelection would have a positive impact and nearly four times as many thought it would have adverse implications. And as if to add insult to injury, a comprehensive 2013 survey found Palestinians more hostile to America than any other national group, with 76% considering it an enemy (compared to 1% of Israelis) and only 4% viewing it as a partner. It is only when the president and his advisors break out of their delusional bubble and acknowledge the Manichean and irreconcilable nature of the challenge posed by their Islamist adversaries that their policies stand the slightest chance of success. Sadly, this would be asking for the impossible. The author is professor emeritus of Middle East and Mediterranean Studies at King's College London, professor of Political Studies at Bar-Ilan University and a senior researcher at the Begin-Sadat Center for Strategic Studies and at the Middle East Forum.